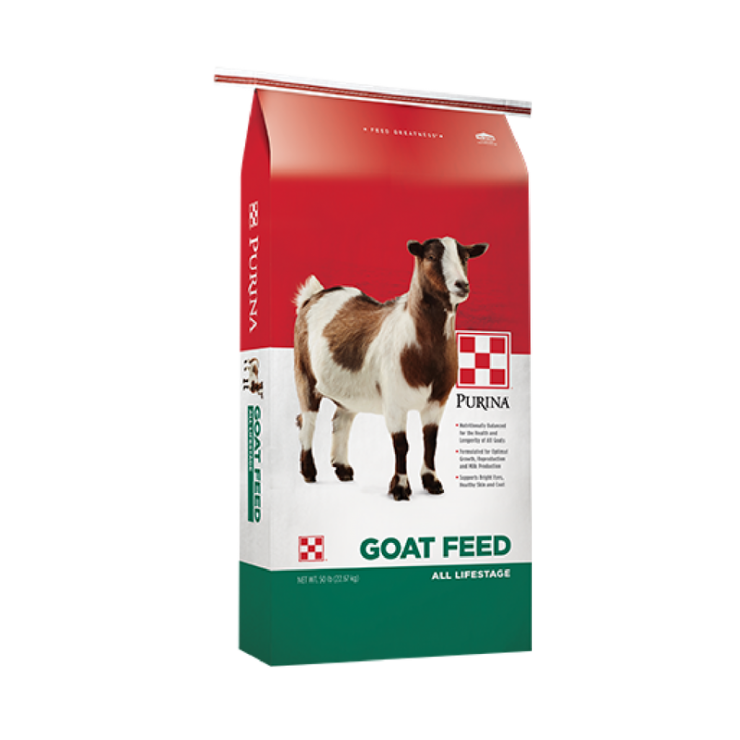 Purina Goat Chow is a uniquely balanced feed for optimal body condition. Can help build strong kids into healthy goats. Quality, nutritious ingredients make up this wholesome formula (fortified with vitamins & minerals) for advanced nutrition. Highly palatable 16%-protein textured feed supplement containing whole grains and nutritious pellets. This feed is fortified with all the essential vitamins and minerals, such as selenium, vitamin E, and cobalt is designed to provide 16% protein from plant sources. Goat Chow can be fed to dry does, growing does, bucks, Pygmy goats, Show goats and as a milking ration.